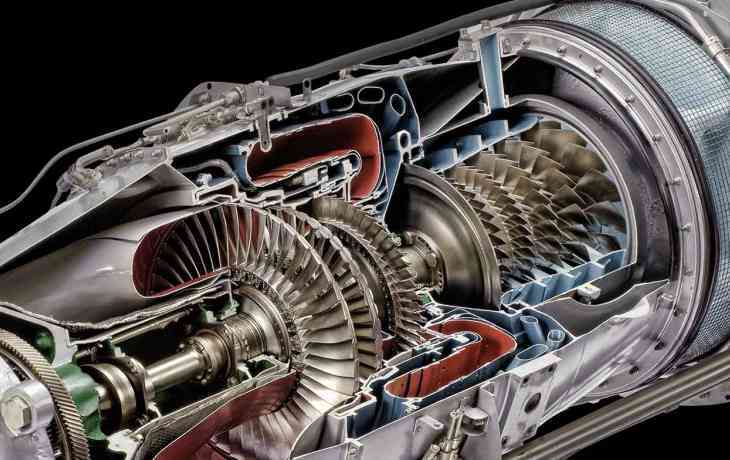 In an aircraft engine, oil is much more than just a lubricant. It plays a number of other important roles, including cooling, cleaning and noise reduction. It’s therefore vital to monitor and analyze oil to ensure it’s doing its job properly. Engine oil sampling and analysis are recommended if a visual inspection reveals that the oil is very dark, has an unusual odor or exhibits other abnormal properties. You don’t necessarily have to change the oil, but at the very least, it should be analyzed to determine its total acid number (TAN) and water content. Typically, the water concentration in brand-new oil varies between 0.02% and 0.04%, or 200 and 400 parts per million (ppm). However, water can enter the engine’s oil system due either to accidental contamination during compressor wash or normal condensation. Since aircraft engine oils easily absorb water and moisture from the air, their water content will rise over time. If it exceeds 1000 ppm, the TAN may rise as well, eventually leading to engine component corrosion. When you take an oil sample, identify it with the brand name, engine serial number, total run time (oil life) and engine time since new (TSN) or time since overhaul (TSO). Have the sample analyzed for its TAN and water content by an approved laboratory. If necessary, ask the lab to analyze the oil viscosity and additives as well. If a parameter exceeds the established limit, it’s recommended that you: 1) drain and discard the oil from the tank; 2) check the condition of the oil filter and, if needed, replace it with a new one; 3) refill the tank with fresh oil. If you have access to the right kits, you could also perform the analysis yourself. Use a Titra-Lube TAN Test Kit to analyze the oil’s TAN and a HydroScout Analyzer kit for the water content. Read more: Oil Analysis Technology Makes Proactive Maintenance Easier. Every time you add oil into your engine, write down the amount so that you can calculate the average consumption. Check this figure against the limits indicated in the maintenance manual. If the engine is using more oil than it should, there may be a part that needs maintenance. For example, a damaged O-ring could be causing a leak, or something may be happening in the engine that’s burning up extra oil. Oil is key to your engine’s health and performance, so give it the attention it deserves by following the advice above. Read all technical tips and talk from our experts about aircraft engine oil on Airtime. The earliest aviation piston engines were lubricated with natural oils such as castor oil and refined mineral oils. However, they lacked the thermal-oxidative stability needed for high-temperature mechanical systems and would form deposits like gum and lacquer on metal surfaces. In the 1950s, following research efforts aimed at improving thermal-oxidative stability, synthetic polyester-based lubricants became the base stock of choice for aviation gas turbine engine oils. Thanks to their chemical properties, these lubricants are effective over a wide temperature range, from -65oF to 425oF. They possess good thermal-oxidative stability, high lubricating film strength, good surface wetting, and low friction and wear rates, making them ideal for aircraft engines. Aircraft engine overhauls are all about flying like new and they require careful planning. It all takes time and a maintenance scheduling. Imagine replacing your engine with one that has already been overhauled, all at a guaranteed price? Good aircraft engine maintenance for turbofans and turboprops includes inspecting the hot section. Here’s what you should know about the process. There are two simple reasons why always respecting an engine’s TBO is of fundamental importance to any operator: performance and economics. Discover why this is one deadline you don’t want to miss. Typically, ultrasonic fuel nozzle cleaning should be carried out every 200 to 400 hours(1) of flying time, to make sure the nozzle is performing properly and there are no problems such as blockages. “Whenever you clean your fuel nozzle, you should also check it for leaks and flow irregularities like drooling, spitting, streaking or other patterns that could damage the hot section,” explains Yves Houde, PT6A Customer Manager at Pratt & Whitney Canada. Checking for irregularities of the fuel nozzle requires the use of both a flow check fixture and a pressure check fixture. These are fitted over the nozzle to help identify tips that need to be cleaned or replaced and verify the presence of any leaks before the aircraft is returned to service. Learn more about what to check for in our article on fuel nozzle maintenance. Whenever undertaking fuel nozzle maintenance, make sure to perform a borescope inspection at the same time. To do this, you will need a borescope kit, including a guide tube for accessing hard-to-reach areas of the engine. Using a borescope is much easier than the old-fashioned method, which involves opening up the engine. A borescope allows for assessment of hot section components for wear or damage that may not be evident from a regular ground power check or flight data collection. For instance, on a single power turbine engine, inserting a borescope through the exhaust duct port and power turbine stage may reveal trailing edge cracks on compressor turbine blades. Borescope kits are made by a number of companies. PT6A owners can check their engine’s maintenance manual for the recommended product’s part number and order it from a designated supplier. It’s hard to generalize about PT6A engines, but there’s some equipment you can’t do without. It’s the core of the line maintenance you need to perform. Oil filter maintenance is recommended every 100 hours or so. When doing this procedure, use a puller/pusher to open and close the filter’s check valve. While the oil filter can be popped out by hand, it’s not a good idea to do so, since it could damage the oil filter check valve seal, which in turn could lead to static oil leak when the engine is not running. PT6A engines may need to be washed periodically to remove salt and other impurities; how often depends on the operating environment. Whenever it’s time to clean the engine, a compressor wash rig and turbine rinse tube are essential. Unlike other engines, most PT6A engines already have a wash ring installed around the air intake, so all you need to do is connect the compressor wash rig and insert the water. After the compressor wash, use the turbine rinse tube to clean the turbine as well. You don’t need any special cleaning solution for a desalination wash—pure, ionized water will do. “But it’s always a good idea to test the water quality first to make sure it’s suitable for cleaning,” adds Yves. “If you use the wrong water, washing may end up causing more problems than it solves.” Have a look at our article on desalination washes for more tips on keeping your engine free of contaminants. (1) Refer to your Engine Maintenance Manual (EMM), Periodic Inspection Fuel Nozzle Cleaning interval for the interval that applies to your engine model. When it comes to special mission aircraft, Textron Aviation has a deep lineup of airplanes suited to the task, ranging from the single-engine piston Cessna 172 to its most sophisticated Citation jets. But its most popular mission-oriented aircraft come in two turboprop types, the Caravan single-engine and the twin-engine King Air series. Both product lines are prime examples of dual-purposing, with a large following in the civil market for everything from owner-flown transport to commercial charter and business aviation flight departments. But these aircraft, when equipped for specific non-commercial or military operations, show their true mettle. On April 18, the Canadian Harvard Aerobatic Team (CHAT) wrapped up several weeks of spring training and is heading south for the coming “Thunder Over Louisville” airshow. Climbing over the narrow, wing-root walkway and stepping on to the cushioned seat of the tandem, two-place, blue and yellow fabric-covered open-cockpit Boeing PT-17 Stearman registered N55171 in Stow, Massachusetts, I lowered myself into position with the aid of the two upper wing trailing edge hand grips and fastened the olive-green waist and shoulder harnesses. Donning era-prerequisite goggles and helmet, I surveyed the fully duplicated instrumentation before me and prepared myself both for an aerial sightseeing fight of Massachusetts and a brief, although temporary, return to World War II primary flight training skies. New Zealand’s Pacific Aerospace has delivered the first P-750 XSTOL to the Thai market, as it looks to double annual shipments of the single-engined turboprop in 2017. Maintenance Repair & Overhaul: Another Approach To Monitoring PT6A Engine Health? High-tech sensors and systems may not be the only way to monitor engine health. Pratt & Whitney Canada has embarked on a project called Oil Analysis Technology, applying it first to the PT6A engine. But Program Manager Frederique Richard says the approach may have much wider applications.